Yes, once more, Ancient Egypt rears its fantastically tanned and well-eyelinered head to threaten the daily balance. Long-forgotten burial chambers full of secrets might be enticing for archeologists, but ancient curses and forgotten deities are nothing to scoff at. You must be careful. And that's what you'll be doing in Omens of the Pharaoh, a new expansion coming for Eldritch Horror. It's never good when a prisoner escapes prison. When that prisoner is an elder god who can destroy the world, it's a bit extra-imperative to make sure they get back to where they belong. Such is the case with Cities in Ruin. Shudde M'ell is shaking his prison beneath the Heart of Africa and causing all sorts of issues. You and the other investigators will have to figure out how to strengthen the locks so that he's not able to get free. Most of the time when you think about Cthulean horrors, you think of skulking around in the dark, or looking through a no-often-used part of an old, dusty library, or maybe a small, New England town in the fog. It's normally not about whole cities being wiped off the map. 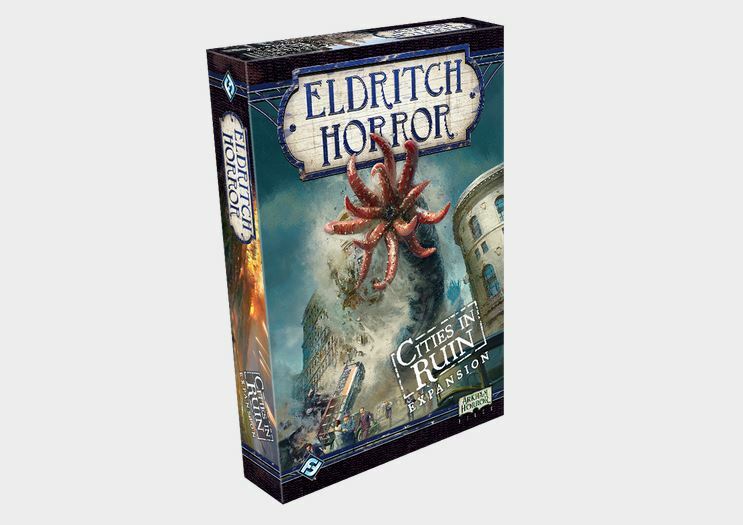 But that's what'll be happening in Cities in Ruin, a new expansion coming for Eldritch Horror. Fantasy Flight Games gives us another look inside this upcoming release. You'd think that, after a while, people would start to take those that are warning about ancient evils coming to destroy the world more seriously. But nooooo. They didn't listen to you. And now a city is in ruins and you need to work even harder to keep the ancient... things... from expanding out and taking over. That's what you'll be doing in Cities in Ruin for Eldritch Horror, of which, Fantasy Flight has posted a preview. When we think of the Great Old Ones and the Cthulhu mythos, it's usually gruesome murders and horrific mind-melting insanity that we picture as the possible outcomes. Well, in Cities in Ruin, things go a bit more large-scale in terms of destruction. The Disaster Deck will have you diving for cover as Shudde M'ell, The Cataclysm from Below, makes its entrance into Eldritch Horror. You know, when you're an Ancient One, I guess you've got a lot of time on your... err... tentacles... claws... whatevers. As such, I guess it seems only natural that you'd mess with Earth and the inhabitants of it. However, most Earthlings don't really like their brain melted into insanity. So there's always those pesky investigators looking to stop your plans. 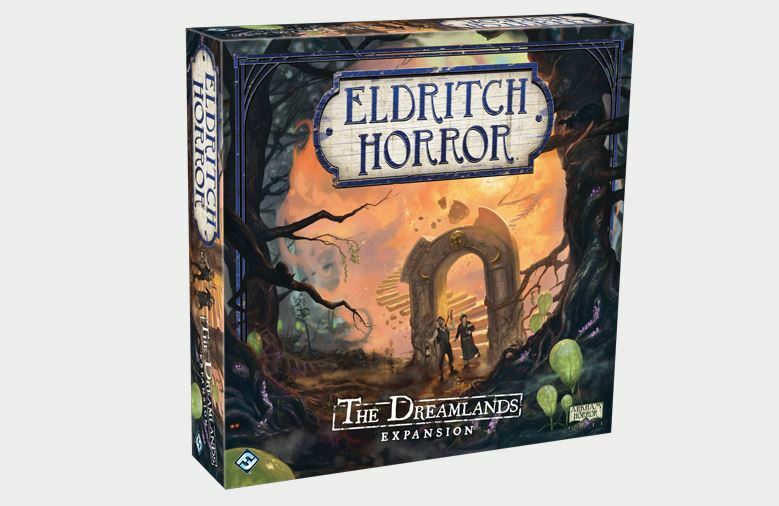 We've seen some of the new Investigators coming in The Dreamlands, a new expansion for Eldritch Horror. This time around, we get a look at the Elder Ones you'll be fighting against. 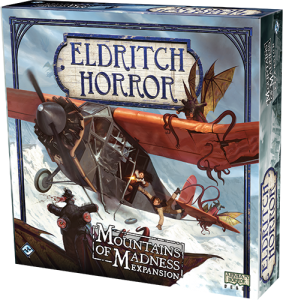 Fantasy Flight Games gives us a look inside their upcoming Mountains of Madness set with a look at an Ancient One and one of the adventures. Eons ago, sentient life forms stronger and more ruthless than mankind ruled the earth. These Elder Things enslaved other species and built a civilization far more advanced than our own. But as earth’s climate changed, the Elder Things lost their power and withdrew to what is now Antarctica, waiting out the millennia for a time when they might rise again. 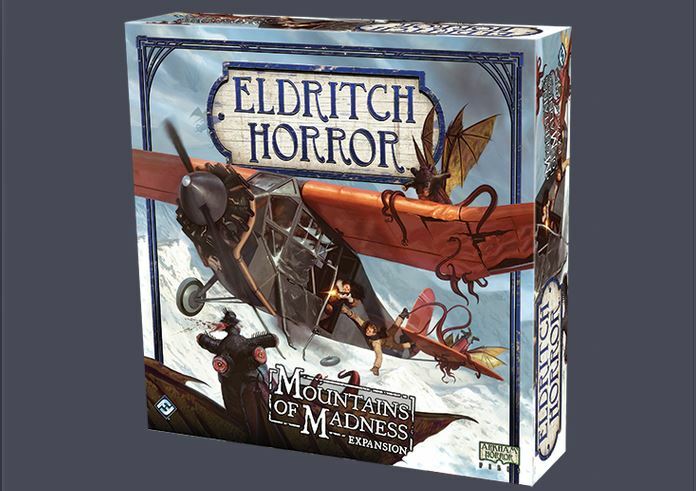 In the Mountains of Madness expansion for Eldritch Horror, that time has come. The Elder Things are awakening, and you must prevent them from retaking control of the world. Today’s preview focuses on the Rise of the Elder Things, one of the two Ancient Ones that you can combat in Mountains of Madness. We will also look at the expansion’s Adventures, which guide your Antarctic expedition and reward you for braving the continent’s terrible conditions and terrifying horrors. 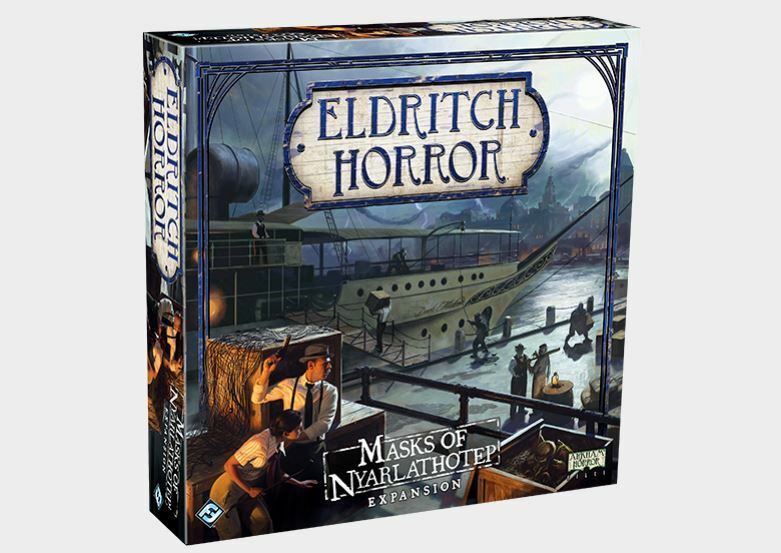 Fantasy Flight Games has announced a new expansion for Eldritch Horror. This one's the iconic Mountains of Madness. 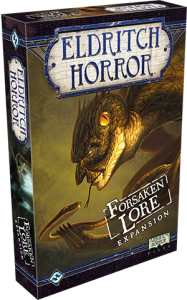 Fantasy Flight Games announces Forsaken Lore, a new expansion for Eldritch Horror. The fate of the world grows even more uncertain as the malignant influence of Yig, the Father of Serpents, extends across the globe. Previously defeated Ancient Ones attempt to reclaim the world once again, forcing Investigators to solve new mysteries to keep them at bay. All the while, terrible new Epic Monsters and dangerous new Encounters keep Investigators racing across the globe to stave off the collapse of the world. Fantasy Flight Games continues their look into their new Eldritch Horror game with a preview of the Action Phase portion of the game. In last week’s preview, we presented an overview of the intrepid investigators working to save humanity from a terrible fate. 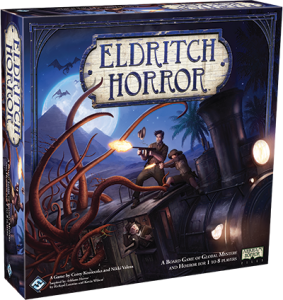 Today, we’ll look at the Action Phase of Eldritch Horror, and see what options are available to these brave heroes as they prepare to save the world! Fantasy Flight Games gives us a look inside the Eldritch Horror game with a preview of how Investigators work. In Eldritch Horror, a board game of mystery and terror, you and up to seven friends take on the role of globetrotting investigators who must must travel around the world, working against all odds to hold back the approaching horror. Foul monsters, obscure mysteries, and brutal challenges will take you to your limit and beyond. All the while, you and your fellow investigators must unravel the otherworldy mysteries scattered around the globe in order to push back the gathering mayhem that threatens to overwhelm humanity. The end draws near! Do you have the courage to prevent global destruction? In today’s preview, we’ll take a closer look at the brave investigators tasked with protecting our world. From skills to starting equipment and special abilities, we’ll look at what makes up an intrepid investigator in Eldritch Horror. Barking Irons has a new Eldritch Horror scenario up online. Will you keep your sanity? 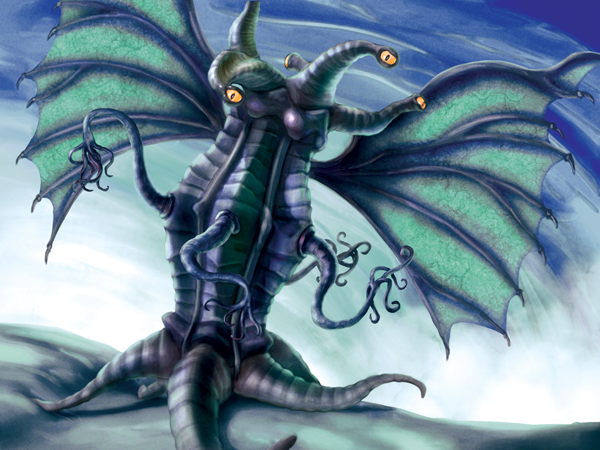 Today Barking Irons brings you a free scenario for the latest USEME ruleset, Eldritch Horror! Captain Standish has come to Buresmouth as the mysterious cult of Vegatatus are rumoured to be the ne'er do wells who have kidnapped his son and Standish wants the boy back! Find out what happens in "An Evil at the Buresmouth Tavern" over on Barking Irons.